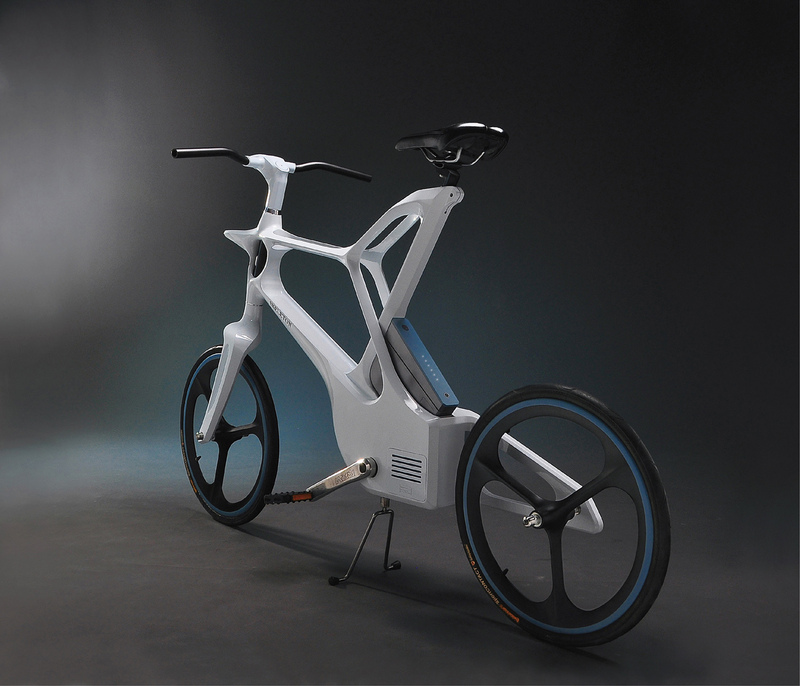 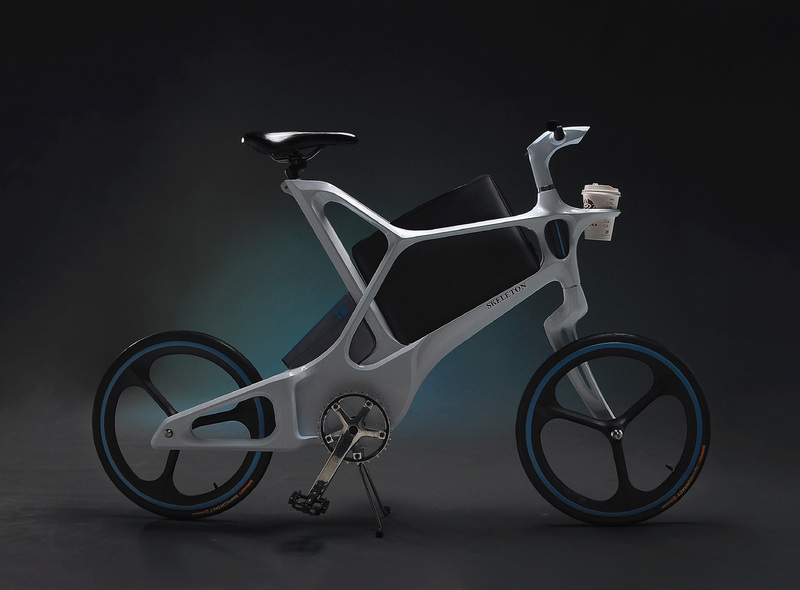 Industrial designer from Taiwan GARY LIAO has created a “Skeleton”, a bicycle concept. 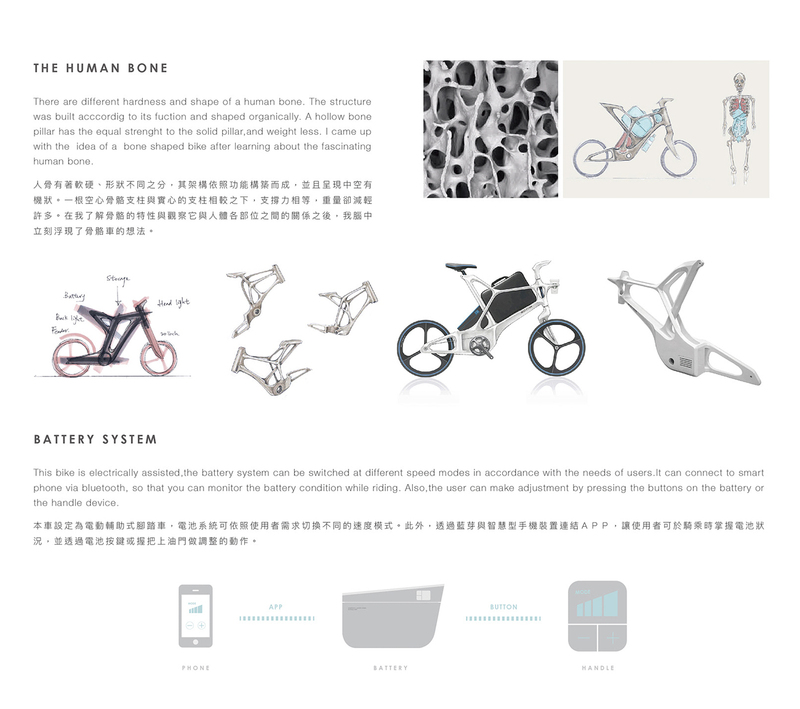 Gary LIAO drew inspiration from the shape of human skeleton and its relationship with vital organs. 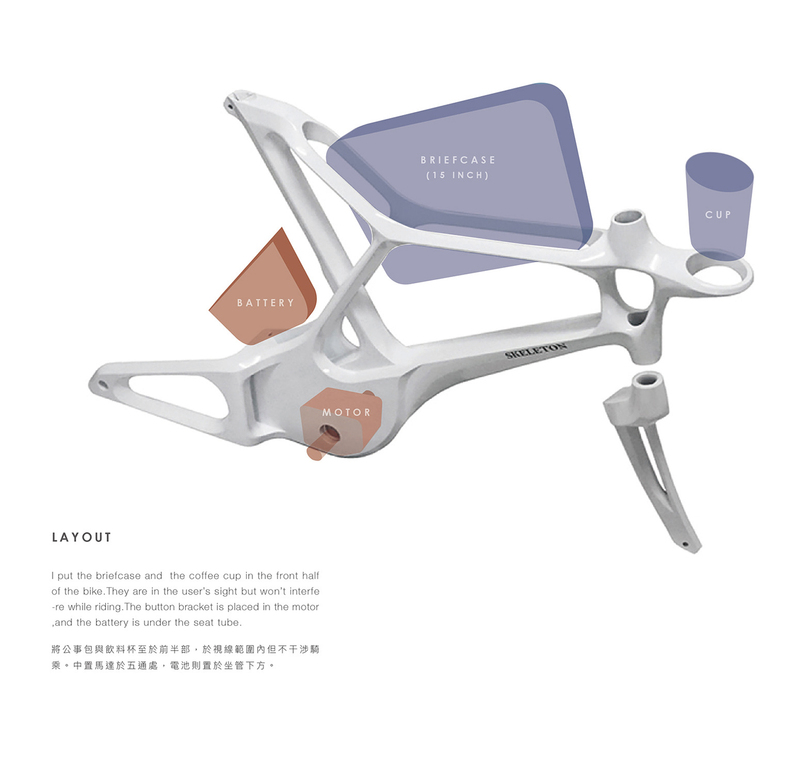 The structure of the innovative bicycle design contains storage space allowing commuters to store objects and luggage elements such as briefcase and coffee mug. 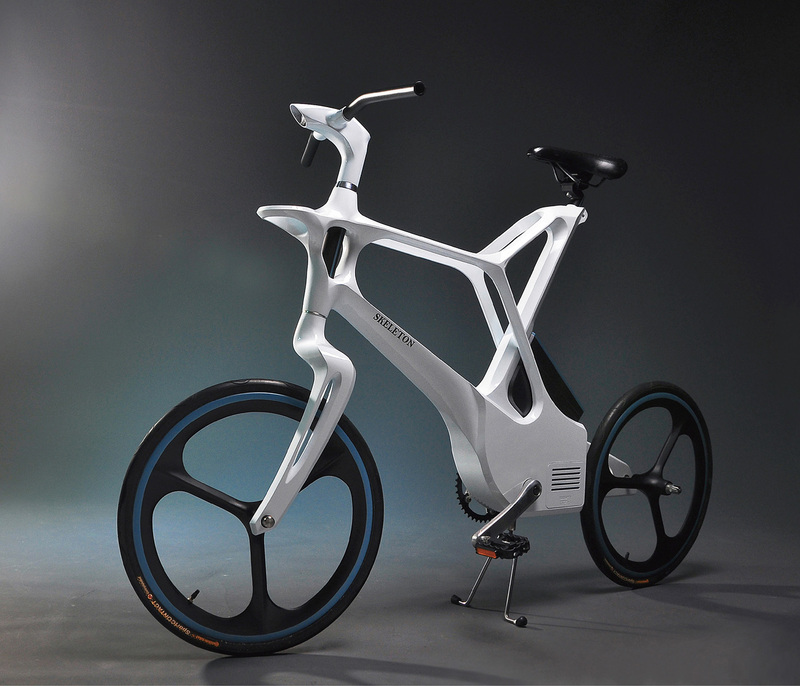 A built-in battery was added to the design, offering the convenience of additional propulsion during commuting. 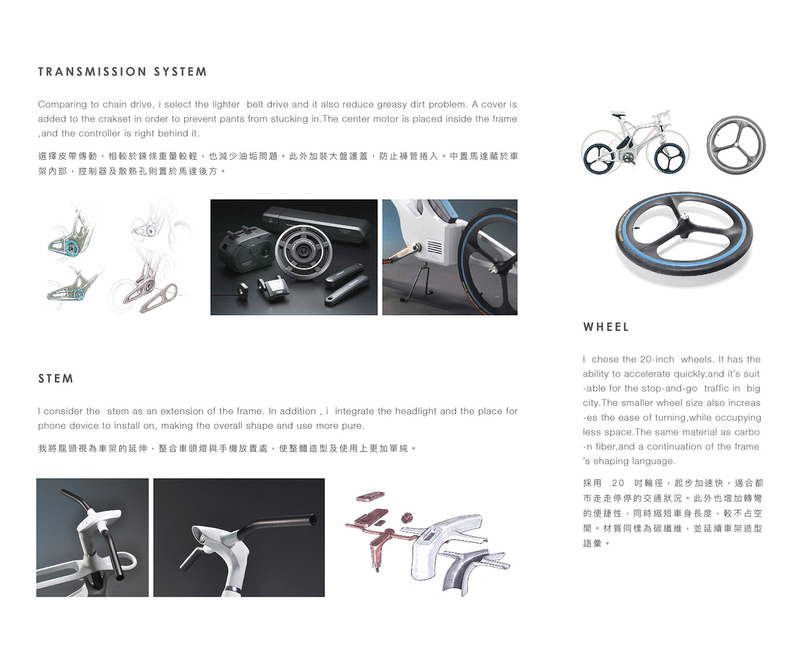 You can compare this project with other intersting e-bike concepts: Gulas Pi1 and Noordung Angel Edition.